“Who’s that gigolo on the street… you better watch, don’t mess with me, no moneyman can win my love”. Was this written by a trap artist from Brooklyn the day before yesterday? Is it sung by a pop star empowered by the #MeToo? movement? Nope. 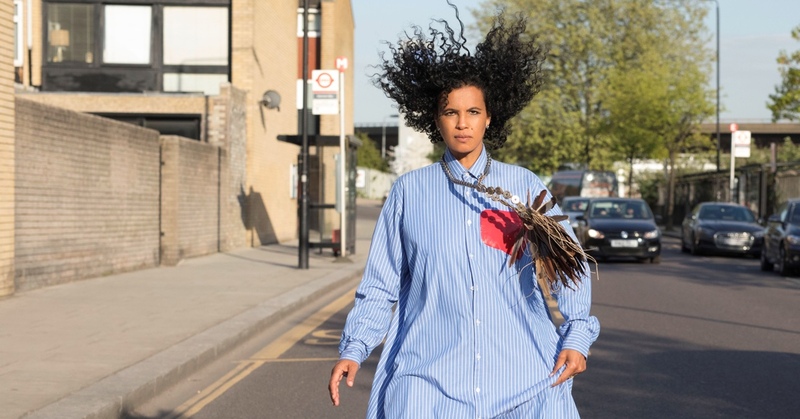 She wrote it in 1989, the first and never fully appreciated mother of all those delightful bad tempered women, she came from the north to show us that there were not only blue-eyed blondes in Sweden: miss Neneh Cherry. She was already a feminist on Raw Like Sushi; she had already mixed pop with house, with trip hop, with spoken word, at the age of just 25; she had already tasted success with Buffalo Stance… but then, nothing. Only three albums in 25 years, until the rebel diva decided to add a new name to her long list of friendaborators –Massive Attack, Tricky, Robyn – Kieran “Four Tet” Hebden produced her come back album Blank Project (2014) - not to mention the earlier The Thing that had regaled all jazz lovers. And now more mature and more vocal than ever about the state of the world, she has gathered enough material to get back in the ring with Broken Politics (2018), working with the same producer once again. In this album there is jazz and Jamaica, denunciation of anti-abortionists and pro-arms groups, Africa and Europe, war and peace, Sangaré and Burial… all omnipresent in herself. But some things do change: who will she dedicate this mythical “gigolo, huh, sukka?” to today? There is no shortage of candidates (ehem).